FOR MORE THAN FORTY YEARS as a beloved professor at the Massachusetts Institute of Technology, Walter Lewin honed his singular craft of making physics not only accessible but truly fun. 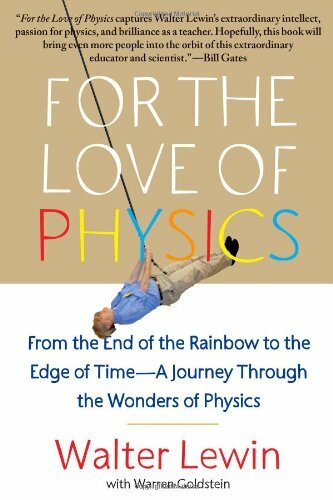 Now Lewin takes readers on a marvelous journey in "For the Love of Physics, "opening our eyes as never before to the amazing beauty and power with which physics can reveal the hidden workings of the world around us. Whether introducing why the air smells so fresh after a lightning storm, or what the big bang would have sounded like, Lewin never ceases to surprise and delight with the extraordinary ability of physics to answer even the most elusive questions. "For me," Lewin writes, "physics is a way of seeing--the spectacular and the mundane, the immense and the minute--as a beautiful, thrillingly interwoven whole." His wonderfully inventive and vivid ways of introducing us to the revelations of physics impart to us a new appreciation of the remarkable beauty and intricate harmonies of the forces that govern our lives. Used Good (1 available) COAS BOOKS, INC.